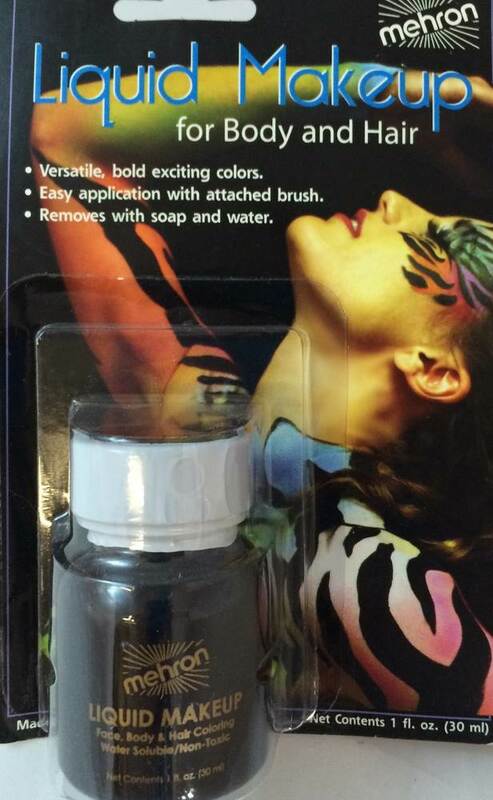 This Professional Liquid Makeup made by Mehron, the leading theatrical makeup manufacturer in the USA since 1927, is made from quality FDA approved ingredients. This is the same Professional Liquid Makeup used around the world by performers in television, film and theater for face, body and hair. This long lasting formula stands the test of long work days on the sets of major motion pictures and is available in twenty four colors. This Liquid Makeup is ideal for face painting a large number of people at carnivals, festivals, fairs or other group activities. Entertainers throughout the industry have trusted Mehron for over eight decades, you can trust the quality of Mehron Makeup too.